Like a dry sense of humor, our English-style dry cider has a refined bite. Not sweet, but bittersweet in the best meaning of the word. Ripe apple aromas teeter on the edge with a crisp sharp zing. 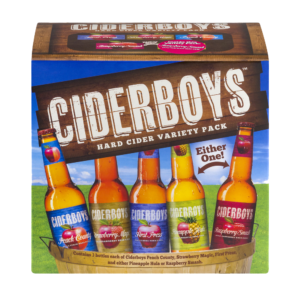 Blow the doors off with Ciderboys British Dry.